Hadit Podcast with Guest Speaker Alex Graham. Certified Veterans Claims Agent. Hadit Podcast Special Show. New Agent Orange Presumptive conditions proposed. Hadit Podcast with guest Speaker, Elizabeth Turner Attorney at law. hadit podcast replay Elizabeth Turner Law. Hadit.com presents the Basser Hour Special with Dr Craig Bash. Hadit Podcast with guest speaker Mr John Dorle, Certified VA Claims Agent. HaditPodcast with SpecialGuest Alex Graham aka ASKNOD. VA Hisa Grant Changes in the near future. Place program under Adaptive Housing. Hadit Podcast with Dr Craig Bash, Veterans Medical Advisor. Hadit.com Podcast with John Dorle, Certified Veterans Claims Agent. Hadit.com Basser Hour Special Basser Hour Champ VA major issue. Hadit Podcast with guest speaker Mr Ray Cobb from Tennessee. Hadit.com's 22nd anniversary Radio Show. Hadit.com podcast with Special guest Sherman Howard. Hadit Podcast with special guest Dr. Bash and Bill Creager. Hadit.com Blog Talk radio Podcast with special guest Sherman Howard. Hadit.com podcast with guest Alex Graham aka Asknod. Hadit Podcast with guest speakers, James Cripps and Ray Cobb. Hadit Podcast featuring guest speakers Dr Bash and Bill Creager. Hadit Podcast program change: How is your VA rated? Les us look at the list. Hadit.com / Blog Talk Radio Show with guest speaker John Dorle. Hadit Podcast with guest speaker Alex Graham, aka Asknod. Hadit Podcast featuring special guest Mr Sherman Howard. Hadit Podcast with Guest Dr Craig Bash and Bill Creager. Hadit Podcast Special Basser Hour Show with Doctor Bash and Bill Creager. Hadit Podcast with special guest John Dorle, Certified VA claims agent. Hadit Podcast with Special Guest Elizabeth Turner Law. Veterans Attorneys. Hadit.com Special Basser Hour with Special Guest Dr. Craig Bash. Hadit Podcast with Special Guest John Rossie. Hadit Radio Special show The Basser Hour featuring Doctor Craig Bash. Hadit.com / Blog Talk Radio podcast with special guest Dr Craig Bash. Hadit podcast featuring special guest speakers James Cripps and Ray Cobb. Dr Craig Bash, Veterans Medical Advisor. Hadit Podcast featuring Dr Craig Bash, Veterans Medical Advisor. Alex Graham, aka ASKNOD , Certified VA Claims agent. Hadit Podcast featuring Alex Graham, aka ASKNOD , Certified VA Claims agent. Paul Sullivan from Bergman-Moore Law. Hadit Podcast Special Show. Paul Sullivan from Bergman-Moore Law. Hadit Podcast John Rossie and HB299 part 2. Hadit.com radio podcast special show, Robbing Peter to Pay Paul. Hadit Podcast Special with Asknod and Jams Cripps. ILP or Independent Living. Hadit.com Veterans Podcast Show Special the Traveling Veteran. Hadit Podcast with special guest Sherman Howard. Hadit radio show with Ray Cobb. Hadit Podcast with Special guest John Dorle, Accredited VA claims agent. Hadit podcast replay, End of life show. Hadit Podcast replay with Glen Johnson. Hadit Poscast with Guest Speakers James Cripps and Ray Cobb. Hadit Podcast Special Show with Alex Graham. Hadit Podcast with Guest Dr Bridget Cantrell. Hadit.com podcast with guest: James Cripps and Ray Cobb of the USVA. James Cripps and Ray Cobb of the USVA. Hadit Podcast special show, Hadit Anniversary special. Hadit Podcast with Special Guest Alex Graham, AKA Asknod. Hadit podcast End of Life show Replay with Berta Simmons. Hadit.com Podcast with Special Guest Hadit.com's founder Tbird. Hadit.com Podcast with Special Guest Speaker John Dorle, VA Claims agent. Hadit Podcast with guest speaker Travis Studdard, Veterans Attorney. Hadit Podcast with guest's Dr. Bash and Alice Burns. Hadit Podcast Special with guest Travis Studdard with Perkins-Studdard. Hadit Podcast special show. End of life show. Hadit Podcast. VA in the news show. Hadit podcast with guest Alex Graham aka Asknod. Hadit.com podcast with Guest speaker James Cripps USVA. Hadit podcast with guest John Dorle. Hadit.com presents the Basser Hour Special. Hadit podcast with Glenn Johnson, Champ Va.
Hadit Podcast with guest speaker Alex Graham aka Asknod. Hadit Podcast with guest, John Dorle VA claims agent. Hadit podcast with James Cripps. The Basser Hour Tbird Replay. Hadit Podcst Replay with Glen Johnson PAO ChampVA. Hadit Podcast with Special Guest Alex Graham AKA Asknod. Hadit Podcast Basser Hour replay. Hadit Veterans Podcast with Jerrel, John and Guest Mr. Ray Cobb. Hadit Podcast special show with Guest Berta Simmons. Hadit Podcast with John Dorle. VA Claims agent. Hadit Blog Talk Radio Show. Thursday, June 8, 2017 at 7:00pm edt. VA Budget and Unemployability IU show. Hadit Podcast Thursday June , 1 at 7:00 pm edt. VA Budget and IU show. Hadit Podcast special with Asknod Part 3. "The Basser Hour". Open Call in show. Hadit Veterans Podcast with guest Sherman Howard. John Wells will update us on the Blue Water Navy's effort for benefits. What do you think of the Department of Veterans affairs. VA Claims Agent John Dorle. Hadit Podcast with special Guest. VA Claims Agent John Dorle. How to avoid making mistakes in your VA claim. Hadit Podcast with special guest Bill Sheka. Hadit.com Podcast with Jerrel, John and James Cripps. Exposure issues. Hadit.com/Blog Talk Radio SHow with The Blue Water Navy's John Rossie. Hadit.com Blog Talk Radio with Guest speaker, Asknod. Hadit.com Blog Talk Radio Show Asbestos Special. Hadit.com Blog Talk Radio show with guest John Wells of the Blue Water Navy. Hadit.com Veterans Radio show with special guest ASKNOD. Hadit.com Blog Talk Radio show with Guest Speaker John Dorle, VA Claims agent. Hadit.com Blog Talk Radio Show's Basser Hour with Guest speaker Tbird. Diabetes special part 2 Hadit.com Radio Show with Jerrel, John and Alex. Hadit.com / Blog Talk Radio Show presents the Basser Hour Open Call in show. What to do when you receive other veterans information in your C file. Hadit.com/Blog Talk Radio Show with John, Jerrel and Alex part 2. Hadit.com Blog Talk veterans radio show with Jerrel, John and Asknod. Hadit.com Blog Talk Radio Show Basser Hour Special. Hadit.com Blog Talk Veterans Radio Show. Blue Water Navy Update. Hadit.com Blog Talk Veterans Radio show (Shredder gate part 2) Oh no not again!! Hadit.com / Blog Talk Radio Show Agent Orange and other issues. VA Charging private Insurance for service connected tests and medicines. Hadit.com Veterans Radio Show Getting to Know the rules of Hadit.com. Hadit.com /Blog Talk Radio Present The Basser Hour Special show. Hadit.com / Blog Talk Radio Show with Alex and Berta about M21 Exposure Changes. Hadit.com/Blog Talk Radio Show with Jerrrel, John and Asknod. Hadit.com Blog Talk radio Show Wednesday Exposure Show. Hadit.com / Blog Talk Radio Show December 23 at 10:00 am estern with Bob Walsh. Hadit.com / Blog Talk Radio Show VA and SSA disability programs. Hadit.com Basser Hour. How to remain safe in today's world. Hadit.com / Blog Talk Radio Show with Glen Johnson. Hadit.com / Blog Talk Radio show Tuesday, November 25, 2015 at 7:00pm est. Hadit.com Blog talk Radio Show Veterans Day special. Hadit.com /blog Talk Radio Show Wednesday 11/04/15 7:00 Pm Eastern. Asknod. The Basser Hour with ED Smith and Bill Sheka. Hadit.com/Blog Talk Radio Show with BWN John Rossie. Hadit.com/ Blog Talk Radio Show with guest speaker Bob Walsh. Veterans, Disabled Veterans, Military, Department of Veterans Affairs. Hadit.com/Blog Talk Radio presents Raymond Hall, Veterans radio show host. Hadit.com / Blog Talk Radio Show. Alicia from Vetlawyers. Hadit.com /Blog Talk Radio show with Asknod. Lets stay alive long enough to enjoy life. Hadit.com/ Blog Talk Radio " Berta Simmons" Why we need a death folder? The Basser Hour Radio Podcast. Hadit.com/Blog Talk Radio Show The Basser Hour with John and Jerrel. Hadit.com /Blog Talk Radio Show Ask Basser Special show. Did the VA really fire 900 people?? Hadit.com Blog Talk Radio Show. The Ask Basser Show With Jbasser and Jerrel. ALS and its Effect on veterans and how the VA deals with it. Parks V Shensiki ( C and P examiners opinion) Nurse Practitioner. Hadit.com Blog Talk Radio Year in review. Does the VA really look at your evidence?? Hadit.com Blog Talk Podcast. Yale Law School. Wed 12/10/14 10:00 am est. John Rossi of the Blue Water Navy. HAdit.com Veterans Radio. How safe are you. Do you feel dead? The VA thinks some live veterans are dead. Join us. Bill Dahlkamp Support Dogs, Inc.
Vetrerans Discounts. who gives them? and Where you can get them. Service Dogs: Bill Dahlkamp, Ex. Dir. Support Dogs, Inc. Ask Basser - Veterans Affairs Math and other interesting items. 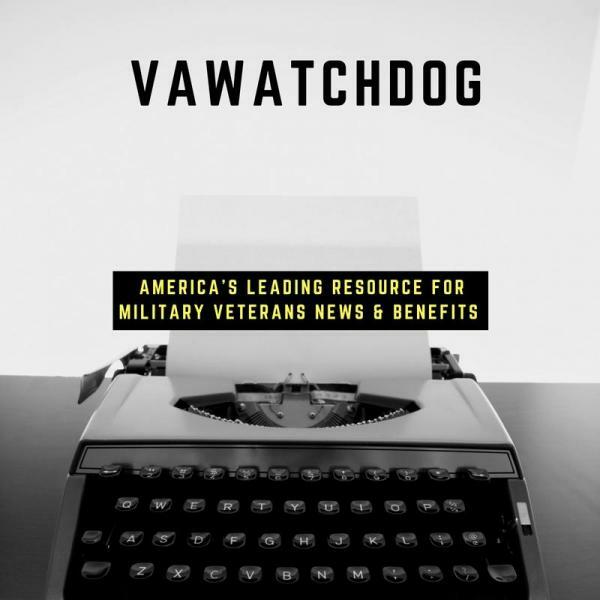 Bill Dahlkamp Executive Director Support Dogs, Inc.
Hadit.com Radio Show With John Rossie Blue Water Navy Wed, Feb 26 At 10Am Est. Hadit.com Radio Show. Paul Sullivan Bergmann Moore. AMC and its actual claim effectiveness. Hadit Radio show with Paul Sullivan from Bergmann Moore. Recent Legislation and the Veterans committe. VA cuts on disabilities, Pentagon Commissary closures.